Darby Costello took a degree in psychology, philosophy and theology in America in the mid 1960s. After some travel she returned to the US to study astrology in Boston, first with Francis Sarkoian and Louis Acker and then with Isobel Hickey. In 1971 she went to South Africa for a brief visit and stayed twelve years. During that time she worked with a small museum in Johannesburg, recording the art and practices of sangomas; the diviner/healers of Southern Africa. Concurrently she began doing charts for people, gradually developing a wide clientele. In 1983 she came to London. During the first few years she developed her practice and began giving workshops and seminars, while deepening her own knowledge of astrology’s cultural history. In 1988 she joined the Centre for Psychological Astrology, becoming Head Tutor some years later. She joined MISPA at its inception in 2015. She has been a tutor for the Faculty of Astrological Studies for many years and is now a tutor for the online Astrology University. 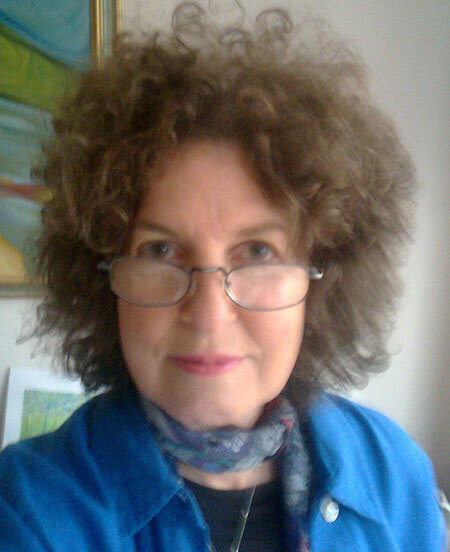 She has long been a visiting tutor for the London School of Astrology and, as she enjoys travelling, she lectures and teaches all over the world. She received an MA in Cultural Astronomy and Astrology from Bath Spa University in 2006 and the Charles Harvey award in 2013. She has written several books. However, her first love is doing charts and she considers this the ground from which her inspiration is continually nourished.